Perfecta Farm's Lennox takes a victory gallop with Celia Bresch after winning the $1,000 Chicago Equestrian Hunter Derby at the Perfecta Farm Show. 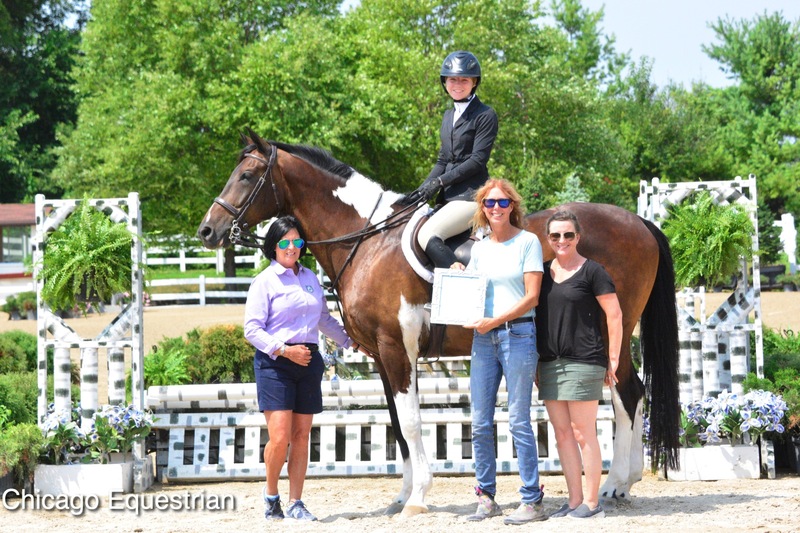 Roscoe, IL - August 9, 2018 –The sensational Perfecta Farm Show at Ledges Sporting Horses in Roscoe, Illinois, concluded with competitors walking away with excellent prizes from not only the horse show but also from the silent auction and raffle that benefitted the Midwest Dachshund Rescue. Many generous sponsors donated fantastic items for the fundraiser which was organized by the riders of Perfecta Farm. Perfecta Farm trainer Kim Gardiner has helped raise thousands of dollars for the charity over the past six years. Every donation to the Midwest Dachshund Rescue allows them to pay for the food, care, fostering and veterinary costs of all of their dachshunds. All donations stay in Illinois, Indiana and Wisconsin, so each contribution directly impacts the local community. 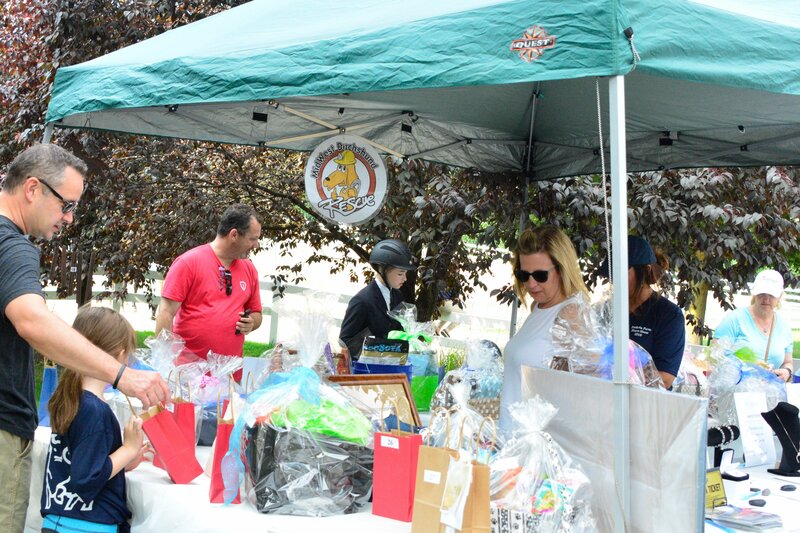 Raffle and silent auction items raised funds for the Midwest Dachshund Rescue. 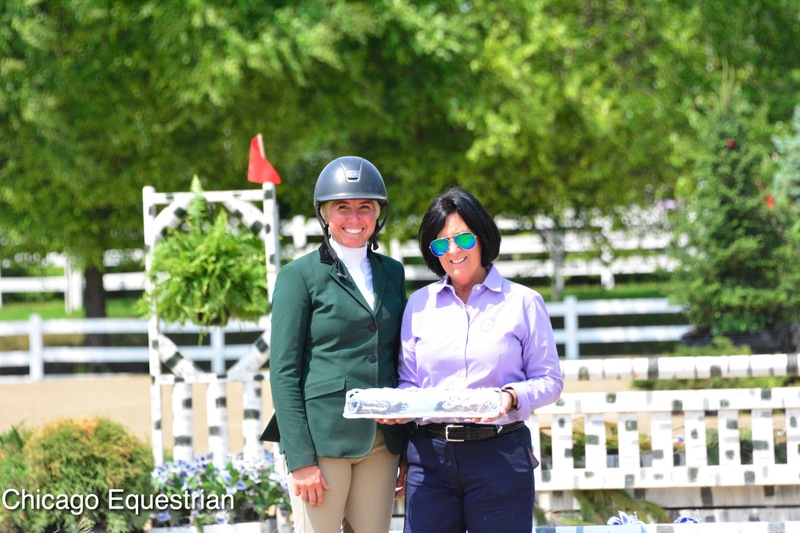 Hilary Pankin rode Meant to Be into the top spot of the $500 Perfecta Farm Hunter Derby, a first-time derby win for Pankin. 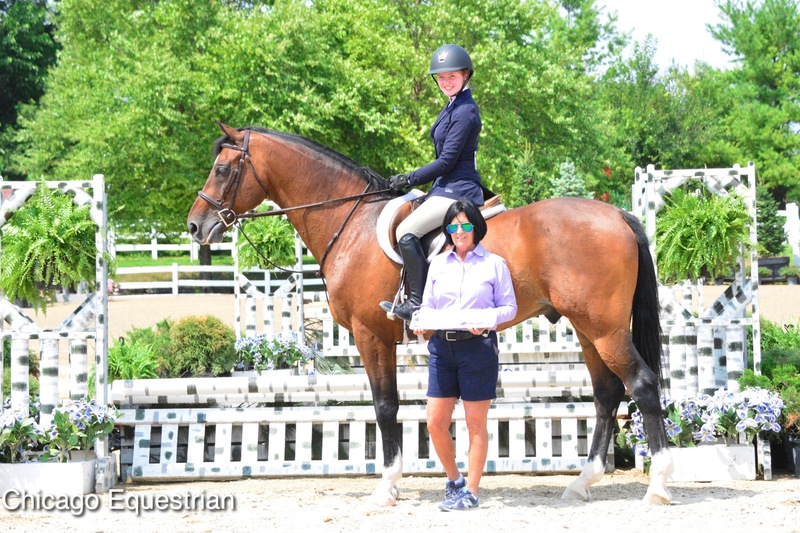 Out of Glen Grove Equestrian Center, Pankin closed out the derby being trip 30 out of 30 riders, and had a first round score of 85 and a second-round score of 88. Meant to Be is owned by the Sekulic Family. 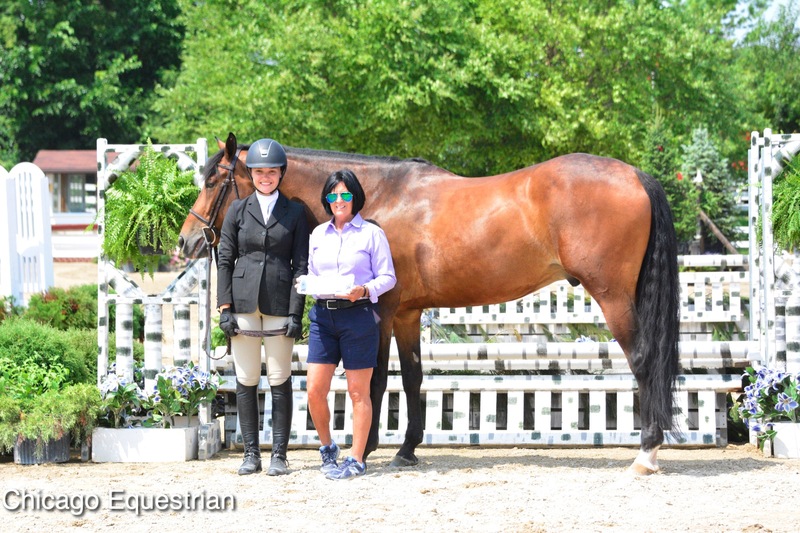 Lennox checks out his prizes for his win in the the $1,000 Chicago Equestrian Hunter Derby with rider Celia Bresch as Brenda Mueller/Chicago Equestrian presents. 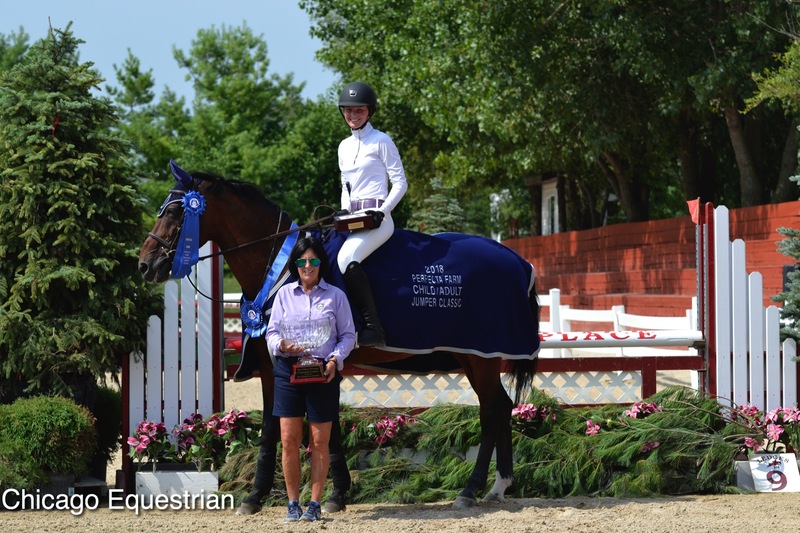 Perfecta Farm rider Celia Bresch and Lennox took home the top prize in the $1,000 Chicago Equestrian Hunter Derby with scores of 86 and 85. 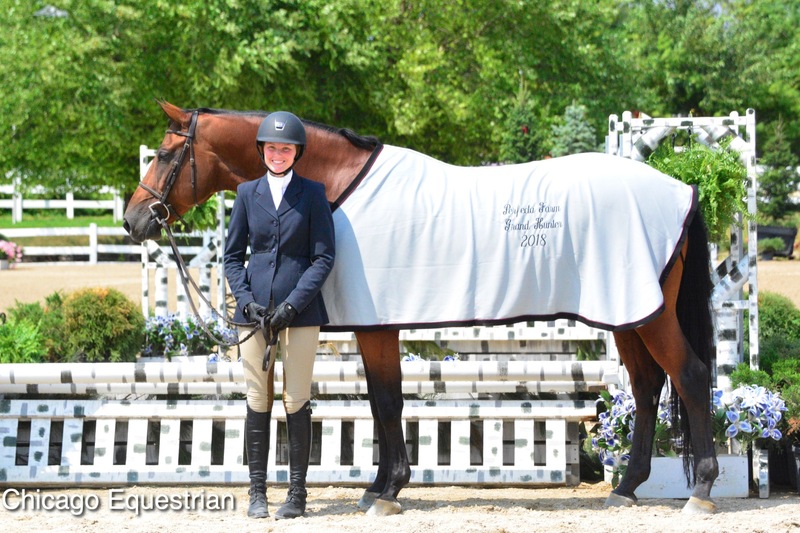 The horse Lennox competed and won in last year’s $1,000 Chicago Equestrian Hunter Derby when he was ridden by Becky Kozma. 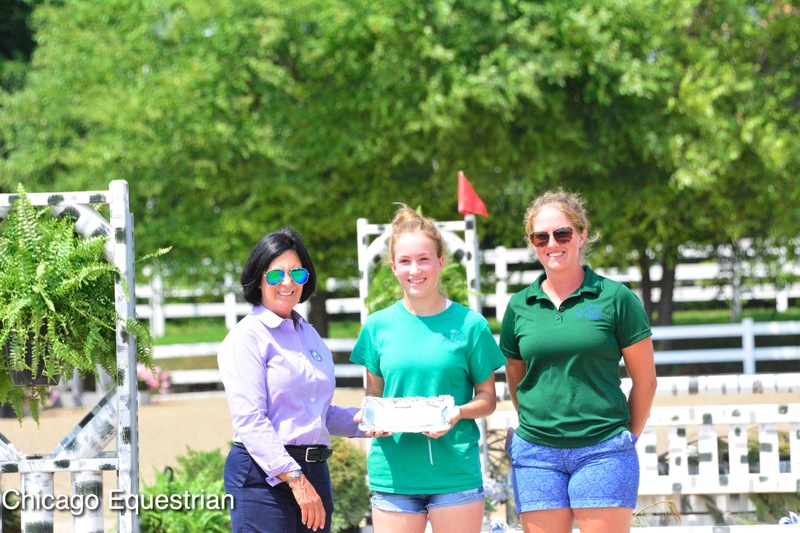 Celia Bresch won the tack trunk in the Perfecta Farm Equitation Classic, courtesy of the March family. 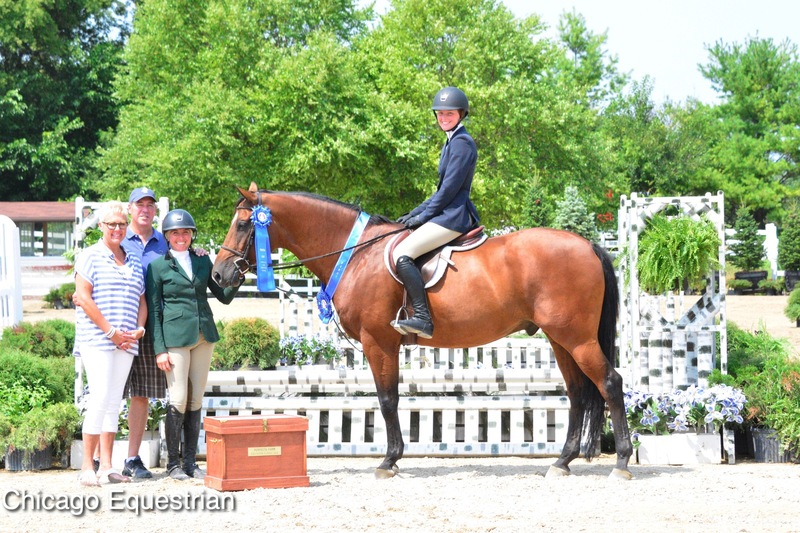 Chalking up another win, Bresch took the top spot in The Perfecta Farm Equitation Classic. Out of 28 riders in the class, she and her mount, Lennox, together scored an 84 in the first round of the classic and 86 in the second to take over the lead. The March family graciously donated the tack trunk for the winners. 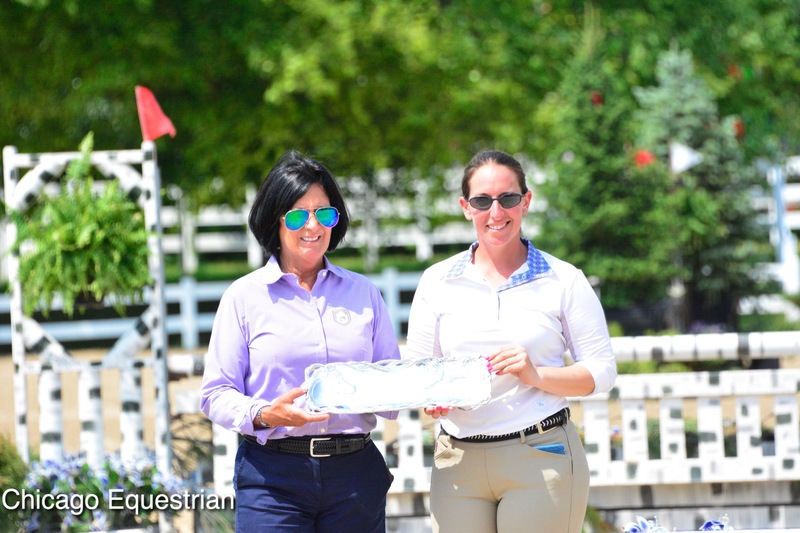 Celia Bresch rode Steve LaPorta’s Tarco to win the $1,000 Children’s/Adult Jumper Classic. 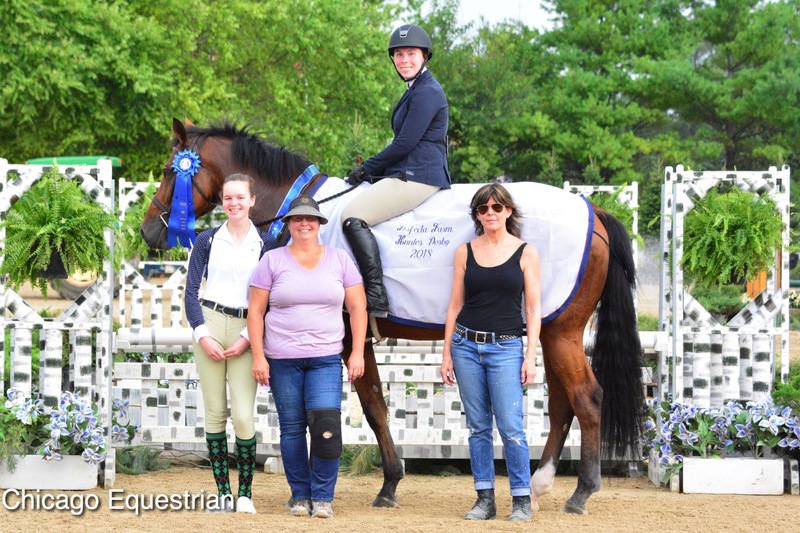 Celia Bresch and Tarco went back into the ring for a great ride to win the blue ribbon in the Perfecta Farm Jumper Sweepstakes with Steve LaPorta and Moritz W coming in a close second. 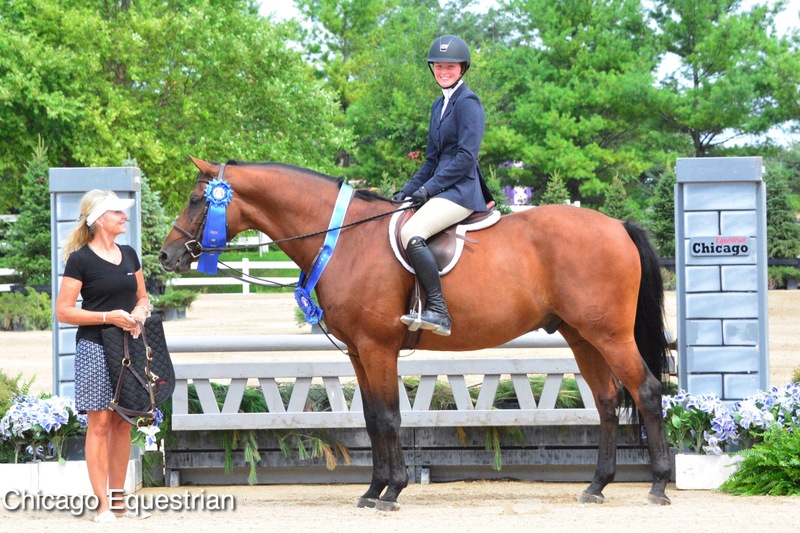 Bresch is one of Perfecta Farm's top riders out of Barrington Hills, IL. She will be a senior at Barrington High School and has made her verbal commitment to the University of Georgia Equestrian Team. Bresch plans on competing at the IHJA A Finals at Balmoral, the Maclay Medal Regionals in Kentucky, and the Dover Medal Finals in Harrisburg, PA.
Winning the Beginner Division Grand Champion was Rachel Hall riding Hemingway, trained by Ginny and Abbie Dvorak out of Breakaway Farm in Madison, WI. Grand Champion of the Junior Division went to Andrea Simko riding High Note from Perfecta Farm. 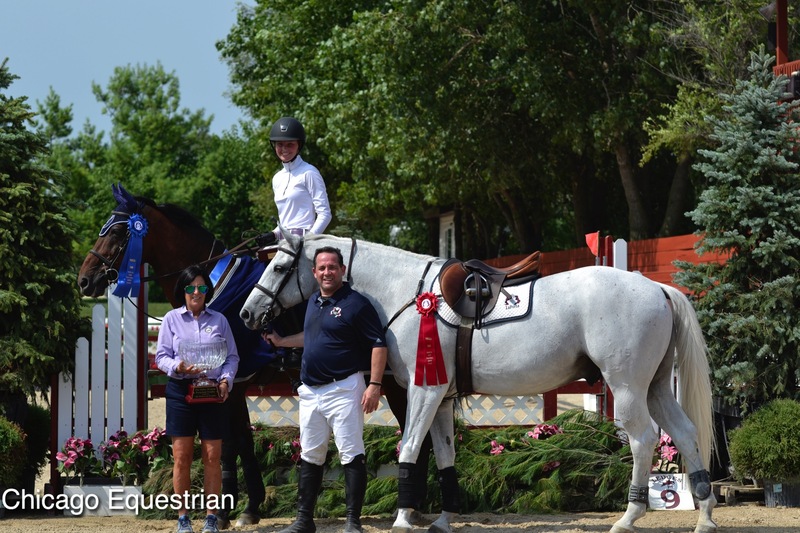 The Best Child Jumper Rider Award went to Perfecta Farm rider Brianna Malick. Winning the Leading Trainer Award was Perfecta Farm’s Carmine D’Aversa. This year’s Leading Professional Award went to Ashley March of Perfecta Farm. 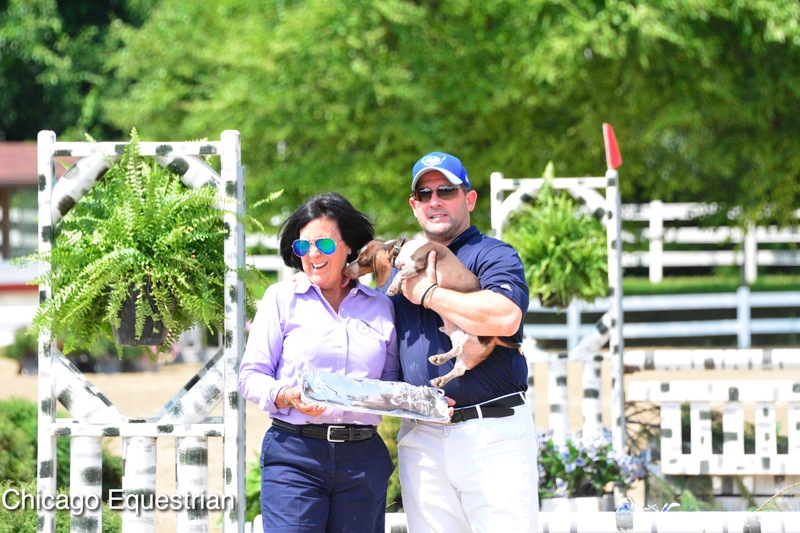 Leading Adult Jumper rider Steve Laporta and friend thank trainer Kim Gardiner for the award. Aerin Hopkins with trainer Sue Kovalik earned the Sportsmanship Award. 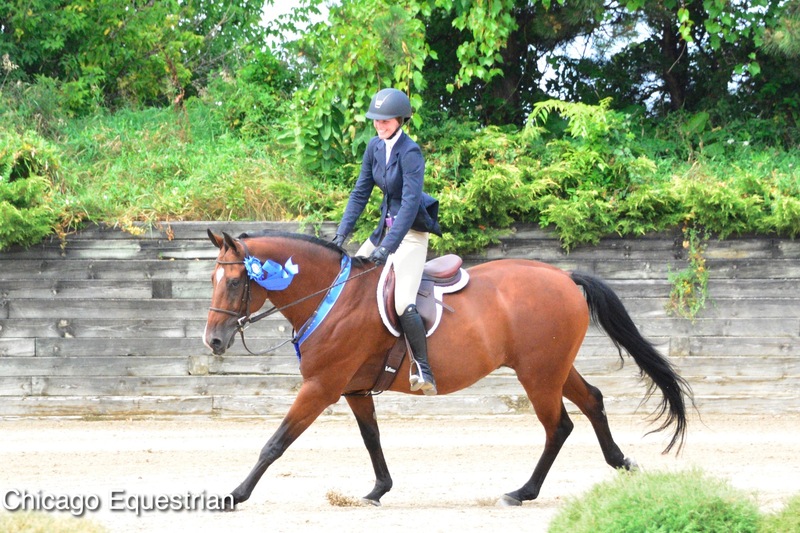 The Grand Hunter Champion was awarded to Lennox and rider Celia Bresch.